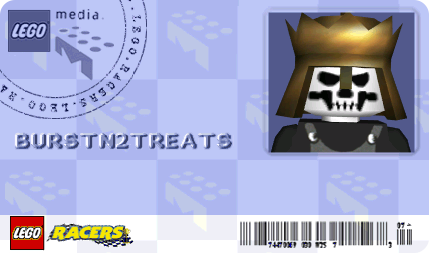 BurstIntoTreats was a Wordpress blog about RollerCoaster Tycoon 2 using this same anonym. I wrote a guide on how to install the game and play it on modern Windows systems. It started as a simple Pastebin link when the game was seeing a spooky resurrection. The blog served over 67,000 hits since 2012, but it was suspended almost exactly two years later. Half-Life Bumper Cars is a mod released in 2003 for the original Half-Life. It transformed the first-person shooter into bumper car combat with kart racing style power-ups, maybe about 11 years before Team Fortress 2 did it too. Playable characters include ones from official Valve games and popular Half-Life mods for cross-over dream matches. The mod was officially recognized on page 151 of the Half-Life 2: Raising The Bar uncorrected proof. I joined the team to help ship the first Steam-compatible release, and got my first taste of amateur game development in junior high. Half-Life Creations is a modding community spun off from Half-Life Improvement. It served as a forum for Half-Life content creators to showcase their creativity with 3D models, texture work, animations, and level design. I did the web design for Half-Life Creations including the latest makeover celebrating its 10th year anniversary. This website is (always) under construction! (Calculating...) people had turned up here by mistake. (Counting...) Neocities neighbors are graciously following this site (thanks). (Searching...) was the last time content got updated. Wiby Search engine for simple sites reminiscent of the early web. GifCities Search engine for animated GIFs. One Terabyte of Kilobyte Age Screen captures of rescued Geocities sites updated every 20 minutes. My 90s TV! Push the power button and channel surf through clips of 1990s television. Bootstrap/386 Bootstrap theme with a 1980s DOS look. Geo for Bootstrap Bootstrap theme with a 1990s Geocities look. Classic Reload Run abandonware operating systems and computer games in your browser. The Deb of Night Listen to Deb's humorous late night talk show in your browser. Vi sitter i Ventrilo och Spelar DotA PC gamers in the mid-2000s once raved to Swedish dance songs about DotA and IRC. K1RZA's lossless Eurobeat collection FTP vault of lossless FLAC compilations. World of Arcades Promotional print materials of CAVE, Psikyo, and Raizing/Eighting shoot 'em up games. Restart Syndrome Submit shoot 'em up one-credit high scores and rank on categorized leaderboards. Wipeout Model Viewer Fly through Wipeout and Wipeout 2097 tracks in your browser. Wipeout 2097 perfect flight Volume warning. Wipeout 2097 arcade conversion Also known as Voyager F5000. Wipeout 2097 AG Systems fan remake By James Hurlock. Wipeout 3 ship sketches By Andy Whiteley of Psygnosis Leeds Studio. Wipeout Pure Edge 20th anniversary cover design By Jon Machin of Studio Liverpool. Wipeout Pure visual identity designs By Jon Machin of Studio Liverpool. Wipeout Pulse visual identity designs By Jon Machin of Studio Liverpool. Wipeout HD corporate brand designs By Alex Townsend of Sony Computer Entertainment Europe. Wipeout Home, Pure, Pulse, HD, Fury, and 2048 graphic designs By Edd Wainwright of Studio Liverpool. Wipeout Omega Collection media kits By Fluid Design. Wipeout 2010 canceled reboot concepts (archive) Outsourced pre-production with resemblances to Jet Moto. Nostro's Wipeout collection Fan mega collection of games, soundtracks, press kits, and merchandise. Boot Disk interview Internet radio interview with Gabe Newell, Marc Laidlaw, and Robin Walker shortly after shipping Half-Life. Half-Life: Uplink New chapter created by John Guthrie and Kelly Bailey as a post-release demo in 1999. Epistle 3 Marc Laidlaw evasively explains what happened to Half-Life 3. Half-Life Library "Virtual bookshelf to all things Half-Life and Valve." Half-Life Map Viewer Noclip through singleplayer and deathmatch maps in your browser. Technical explanation of the Goldsrc engine (archive) From an ex-Sven Co-op developer. Half-Life: Year of the Dragon Spyro The Dragon in Half-Life. Half-Nuked Duke Nukem in Half-Life. Half-Payne Max Payne in Half-Life. gmDoom DOOM in Half-Life 2. Valve Developer Union Modding resource created by Neocities resident Mariteaux. @dot_bsp Daily tweets of the very best in Goldsrc mapping. Black Widow Games history 1997-2003 Neil Manke's contracted mod projects for PC Gamer magazine and more. The Making of Dust Continued in The Making of Dust 2. Militia Part II Counter-Strike action drama machinima directed by The Family God. Clan Wars: Clan vs Noob Counter-Strike comedy machinima also directed by The Family God. Diablo post-mortem 20th anniversary presentation by David Brevik at GDC 2016. Diablo Evolution Pre-release versions and cut content documented. Devilution Reconstruction of Diablo's source code. Diablo Patch Adds modern compatibility and various quality of life improvements such as windowed mode. Diablo Interface Displays character information from game memory in a window. Mortal Kombat on GamesMaster Sonya Blade and Johnny Cage actors play a best of three match on a UK game show. Mortal Kombat II on Bad Influence Baraka and Raiden actors appear on a UK game show. Mortal Kombat II at AMOA 1993 Johnny Cage and Kung Lao actors perform at a trade show in Anaheim, California. Ultimate Mortal Kombat 3 at Road To Evo 2 Shock and Long Island Joe compete in grand finals. Mortal Kombat History 1992-2002 Series retrospective bonus video in Mortal Kombat Deadly Alliance. Raiden in Unreal Championship 2 Mortal Kombat crossed over with Unreal in the Midway published Xbox game. DOOM 1993 post-mortem John Romero and Tom Hall at GDC 2011. DOOM: Behind The Music Mick Gordon at GDC 2017. Bill Gates in Doom95 Shown at Microsoft's haunted mansion party in 1995. John Romero's Irish Adventure He reveals why half the team walked out after shipping Quake. A Visit To id Software Dan Linton visits id in November 1993. Inside id Software Ex-Monolith Jace Hall visits id during the development of Rage. Kawaiik Quake reimagined as cute cartoon designs. q2bsp WebGL demo of q2dm1. q3bsp WebGL demo of q3tourney2. G4 Icons Video game documentaries that aired from 2002 to 2004. Unseen 64 Canceled games and cut content. Crash Mania Backstage Interviews recounting Crash's early and troubled days of development. Blur 2 alpha Early build before Bizarre Creations was shut down by Activision. Forza FilmSpeed (behind the scenes) Using mathematics and a McLaren to create a zoetrope optical illusion. PlayStation NTSC-U supercut All 1284 games released in North America running on original hardware. PlayStation 2 midnight launch in France Volume warning. Cannonball Source port of OutRun. OpenClaw Source port of Captain Claw.